This is one of many posts I am about to make in relation to the request of one of my online buddies in this post. You know they say small things make big differences? Well this is very true. Do anyone of you guys own a car? Cleaning cars sure is a chore but I know every car owner has experienced this. This is the same in photography. I believe what sets a good pre and post production preparation is attention to details. One aspect of pre production of taking photos is white balance. The photos were taken just seconds apart from each other but the white balance gives a galaxy wide difference. So what is white balance? White balance is simply the color temperature. For example, should my gold colors be warm (more on the reddish or orange side) or cold (more on the bluish side)? The different in the photo above is that the photo on the left side makes the whites on Valkyrie’s ear wings the basis for every other colors while the photo on the left makes Valkyrie’s face the basis for every other colors. You are telling the camera “This is white. On this basis, make other colors relative to this”. Some of you may think that the photo on the left looks better than the photo on the right or vice versa. The bottom line is, there is no absolute white balance. You can make use of it to create impact on your photo. You see, white balance can create the make or the break of the photo. That is why you need to set it correctly before taking a shot. Post production can also correct this but more on that on my future posts. You better start learning how to set white balance in your cameras. There is always manual-sensei to help you. 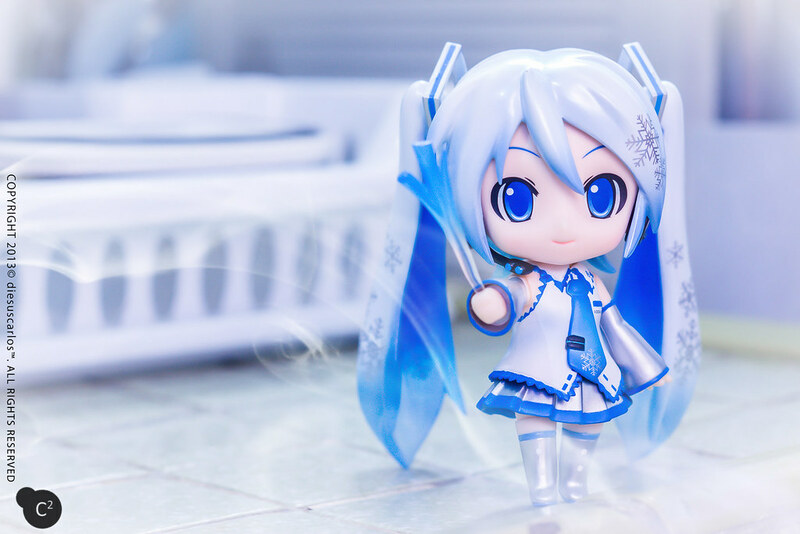 Posted in Tips and TricksTagged figure photography, figures, good smile company, hatsune, hatsune miku, miku, nendonesia, nendoroid, nendoroids, sasara, snow miku, tips, toy, toy photography, toys, tricks, wb, white balanceBookmark the permalink. Yep, white balance definitely makes a huge difference. I try to review and take pictures of my new figures when it’s sunny outside to give a warm and bright feeling to the photos, but I can still achieve the same effect if it’s shady by altering my white balance. Also, if you shoot in RAW on a DSLR you have full control of white balance in post-production when you open it in Photoshop.